Richard Millwood directs Ultralab, Europe’s leading educational research and development laboratory based at Anglia Ruskin University in Chelmsford, Essex. Ultralab’s distributed forty-strong team enjoys an international reputation for its research and development work in the use of information technology in learning. The team has developed multimedia, interactive, participative and communicative approaches to learning using CD-ROM, DVD and internet technologies. The work is characterised by large-scale action research projects interwoven with small-scale technological development in all sectors of education. digital creativity - based on series of successful summer schools over 6 years, Ultralab is now working with the BBC and Apple to promote animation and film making to develop confidence in learning. Richard's work centres around initiating research and development projects, preparing proposals for their funding and the management of a multidisciplinary, geographically dispersed development team. He offers a leadership role in Ultralab conceptualising, strategising and advising on the scientific and practical issues faced by other staff while maintaining a hands-on approach to the research and development in a multi-disciplinary manner. 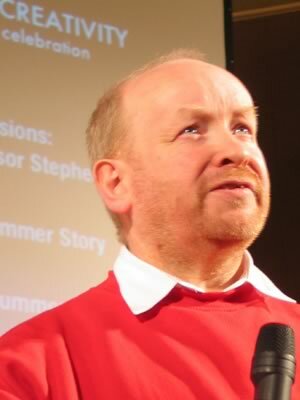 Richard makes regular contributions to international conferences in the field of educational computing and is frequently in demand as a speaker and consultant to a number of educational and computing organisations.